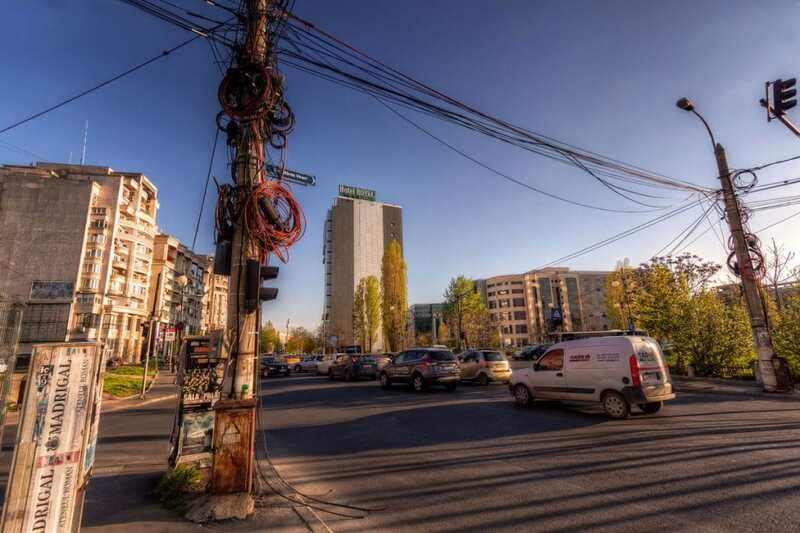 When I prepared myself for the trip to Romania, I often stumbled upon the word “contrasts” connected to Bucharest. How often can you drink a (surprisingly expensive) beer in front of a ruin? 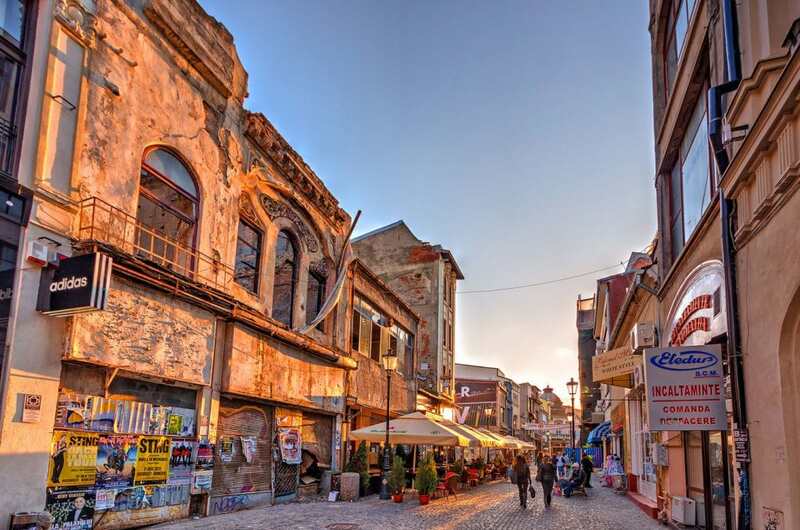 This photo is taken right in the Old Town of Bucharest and I think you get a feeling for what I mean with “contrasts”. Just a few streets further they build a new 5-star Hotel. 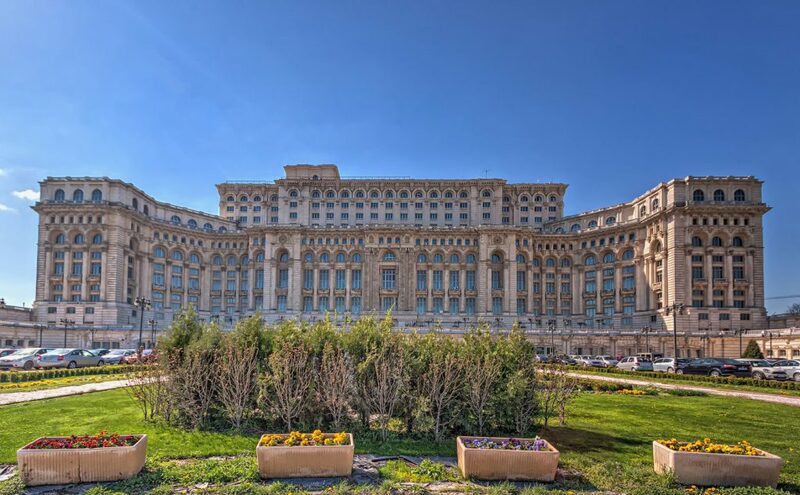 The Palace of the Parliament, the biggest building of Europe, you will inevitably pass once you’re in Bucharest. The immense building stands at the end of the long and wide Unirii-Boulevard and it is hard to show its size on a photo. The Palace is so big that I had problems to capture it in a single photo even with my wide-angle lens. 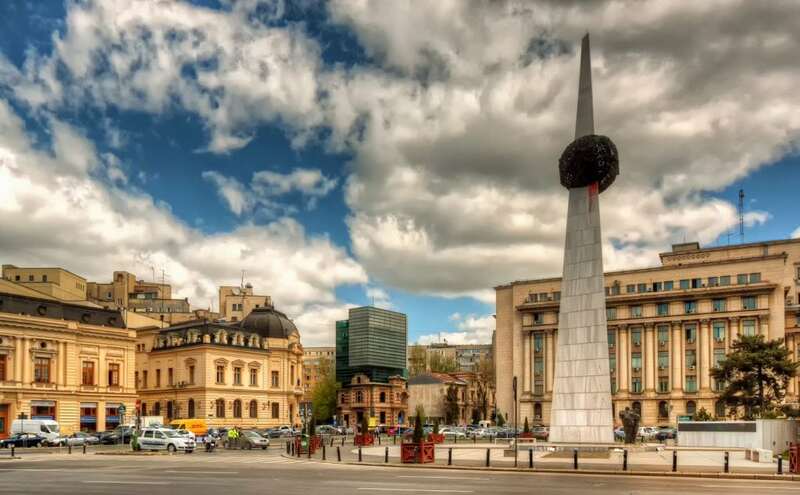 The Memorial of Rebirth (Memorialul Renaşterii) reminds the bloody revolution against the Ceausescu regime in Bucharest in December 1989. Even though the idea of the memorial obviously enjoys wide popularity, the memorial itself had to face critical voices asking whether or not that is the best way to honor the heroes of the revolution. The Palace of the Parliament is the biggest civil building of the world and goes as deep into the ground as it goes up into the sky. An unimaginable network of corridors and only a few of them can be visited. 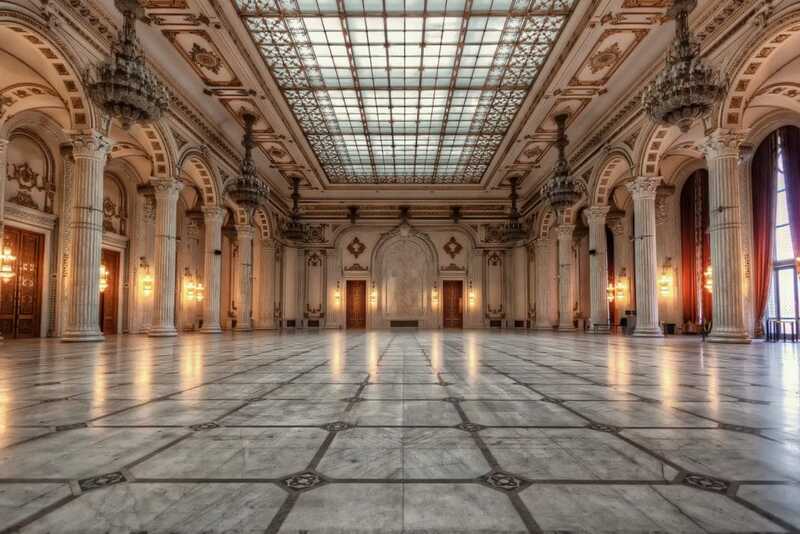 The room on the photo is the Ballroom which is the biggest room of the palace. Wherever you go, there are cables. Some are hanging to the ground, some are still in place. But they really are on every single street light. Our host Radu explained us that they remain from the time when there was no real electricity network. Everyone just established their own energy connection and as of now, not much changed.